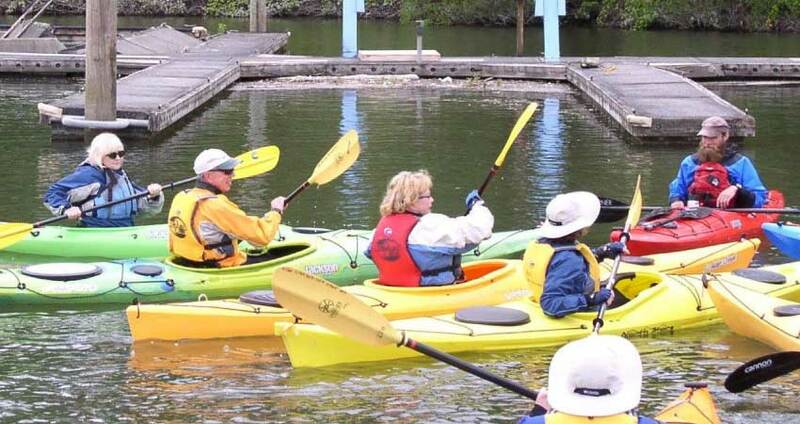 We offer a variety of guided trips & events at Ridgefield Kayak year around. We offer a wide range of Kayaking & Standup Paddleboarding classes. From basic skills classes to moonlight paddles on the beach. 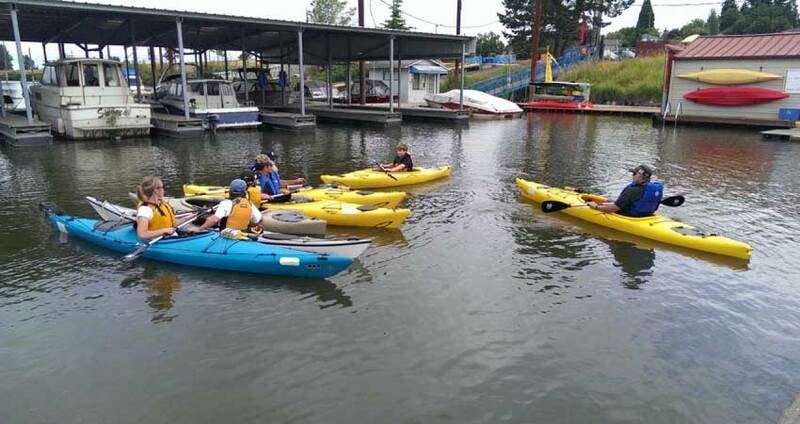 Ridgefield Kayak has plenty of fun paddles for family & friends. Come paddle through the winding waterways of the Columbia River Water Trail near the Ridgefield National Wildlife Refuge for a few hours. 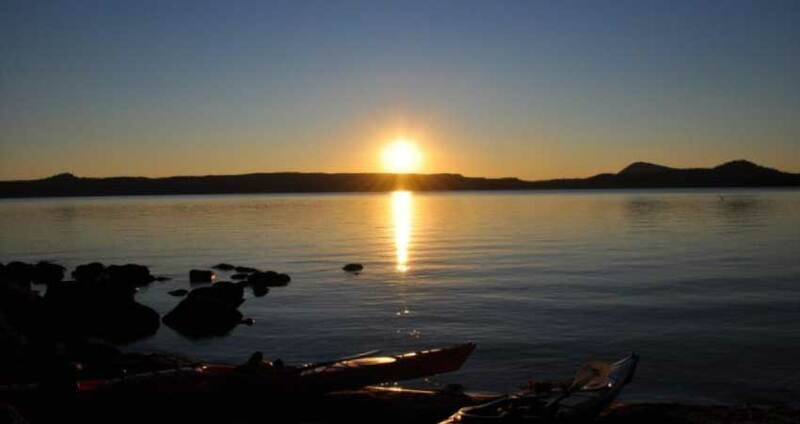 Experience the beauty and fun of paddling Lake River. 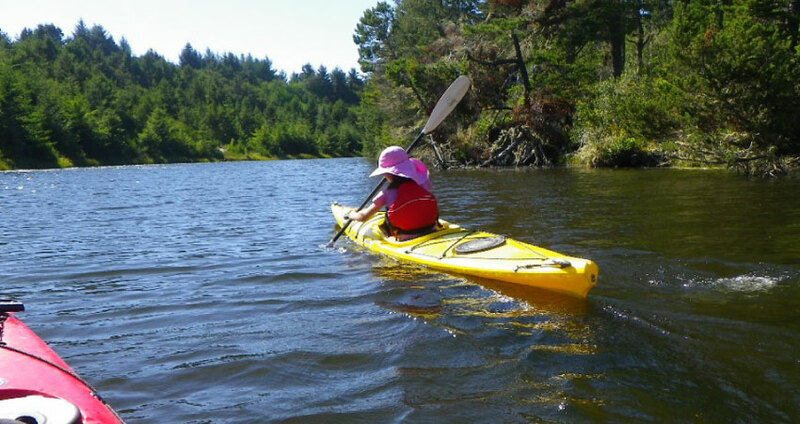 We can practice our paddling skills with the help of an experienced guide. A variety of birds and wildlife are sometimes seen as we slip around the puzzle pieces of land and explore paths once traveled by native tribes and Lewis and Clark. We will paddle Lake R and look for bald eagles and blue herons and so much more! As part of the tour, we will cover many basic paddling skills including launching, maneuvering, and how to stay safe on the water. First timers are always welcome as this is a great way to learn some fundamentals! Come paddle through the winding waterways of the Columbia River Water Trail looking for inhabitants of the National Wildlife Refuge! We will focus on easy paddling areas with the best chances to see beavers, muskrats, deer, ducks, eagles, cormorants, tundra swans, herons, and soo much more! A variety of birds and wildlife are often seen as we slip around the puzzle pieces of land and explore paths once traveled by native tribes and Lewis and Clark. 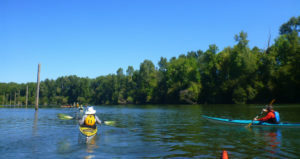 This 3 hour flat water tour is a terrific way to experience the beauty of the river even if you haven't paddled much before. For more paddling instruction and focus on skill building be sure to also check out our "Learn to Kayak Tour" too! Our VERY popular evening paddle in the moonlight. Paddle north to the Columbia River. Experience the magic of the setting sun and the rising full moon. Pack food for a beach dinner. All levels welcome. 3 hour guided paddle, must be 12 years or older. Reservations needed. Spend 3 hours with our wonderful guides as you paddle out to the Columbia River. Pull over to enjoy the moonlight and perhaps some dinner. Every 1st Saturday of the month the town of Ridgefield, Washington has a celebration! Come enjoy music, fun, food, family-friendly activities and a sense of community at downtown Ridgefield's First Saturdays! Participate in theme-related events and activities that include local artists displaying their work, sidewalk chalk drawing contests, athletic events, and other pop-up activities. You'll also find the Farmer's Market, sidewalk sales, outdoor concerts, local eateries and food vendors to enhance the festive atmosphere. As part of the fun we will be offering discounted kayak and stand up paddle board tours that will focus on something new each month. 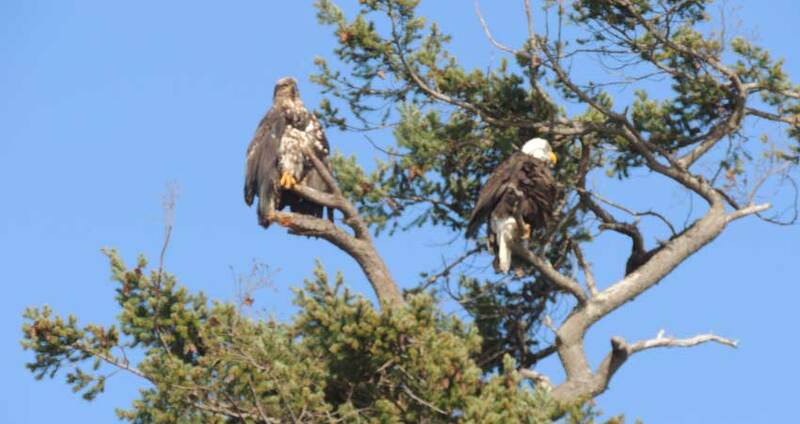 Come spot Bald Eagles in Feb, or Tundra Swans in March. Come celebrate Earth Day with a paddle tour and wildlife tour. We will have something different each month! The Columbia River Water Trail is a wonderful place to explore by kayak. Come paddle through the winding waterways of the Columbia River Water Trail on this full day tour! A variety of birds and wildlife are often seen as we slip around the puzzle pieces of land and explore paths once traveled by native tribes and Lewis and Clark! This 6 hour flat water tour is a terrific way to experience the beauty of the river and cover a little more distance. We will offer skill building and assistance where needed, but folks on this tour will have been paddling before. If tides allow we will make the trip all the way around the National Wildlife Refuge on Bachelor Island!